Abraham Lincoln famously said: “As a peacemaker the lawyer has superior opportunity of being a good man. There will still be business enough.” Abraham Lincoln would have been a fan of Rule 11 agreements. Rule 11 agreements are routinely used by attorneys to extend deadlines, maintain the status quo, or even fully resolve cases. But even the best-intentioned peacemakers may find themselves having to defend the validity of their agreements in court, and at that time, your decision to make your agreement via email may prove to be a big mistake. Agreements of counsel, respecting the disposition of causes, which are merely verbal, are very liable to be misconstrued or forgotten, and to beget misunderstandings and controversies; and hence there is great propriety in the rule which requires that all agreements of counsel respecting their causes shall be in writing, and if not, the court will not enforce them. They will then speak for themselves, and the court can judge of their import, and proceed to act upon them with safety. For over a hundred years, the “signed writing” was a piece of paper, signed by the respective counsel. But neither Abraham Lincoln nor the 1857 Texas Supreme Court had access to email, and so the trouble begins. Fast forward to 2011. Insurance carriers for two defendants in the representative’s underlying medical malpractice case attempted to enter into a settlement. The insurance carriers claimed that an email did not satisfy the requirements of Tex. R. Civ. P. 11, but the plaintiff claimed that the email constituted acceptance of the material terms necessary to constitute a contract. The fact that the email is an electronic document does not prevent it from being enforceable under Rule 11 because . . . under the uniform electronic transactions act . . . ”[i]f a law requires a signature, an electronic signature satisfies the law.” Tex. Bus. & Com. Code Ann. § 322.007 (West 2016)). By statute, the term “electronic signature” means “an electronic sound, symbol, or process attached to . . . a record and executed or adopted by a person with the intent to sign the record.” Id. at § 322.002. Cunningham v. Zurich Am. Ins. Co., 352 S.W.3d 519, 529 (Tex. App.—Fort Worth 2011, pet denied). The email does not contain a graphical representation of Grabouski’s signature, an “/s/” followed by Grabouski’s typed name, or any other symbol or mark that unequivocally indicates a signature. The email does conclude, however, with what is commonly referred to as a “signature block,” that is, a block of information beginning with Grabouski’s name followed by her contact information. We decline to hold that the mere sending by Grabouski of an email containing a signature block satisfies the signature requirement when no evidence suggests that the information was typed purposefully rather than generated automatically, that Grabouski intended the typing of her name to be her signature, or that the parties had previously agreed that this action would constitute a signature. Because there is no other evidence of an electronic signature, the email was not signed, and it therefore does not meet the requirements of Rule 11. And there you have it. In simple terms, there is no Rule 11 agreement without a graphical signature or an “/s/”. 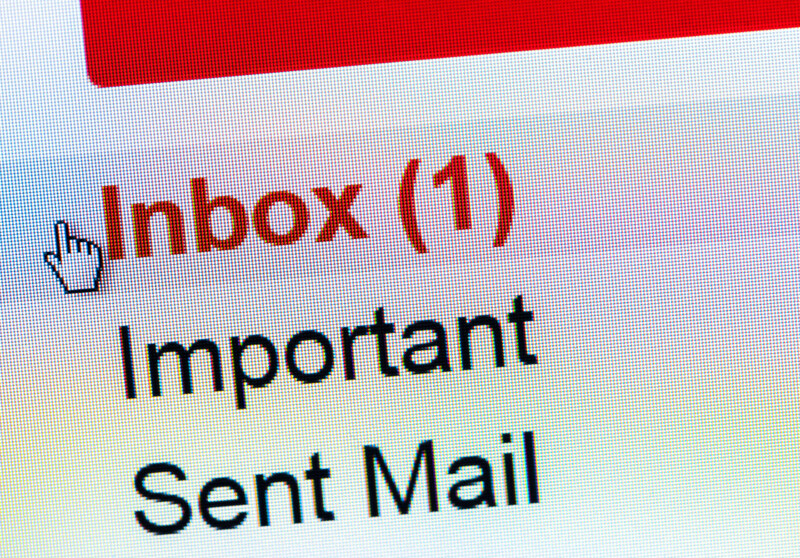 In the age of ubiquitous email, the savvy attorney needs to be diligent in obtaining more than a simple email confirming the parties’ agreement. Because much to the chagrin of Abraham Lincoln, not all attorneys are peacemakers, and you need to be ready to defend the validity of your agreements under Rule 11. The term “vexatious litigant” conjures up visceral feelings: of a broken legal system, of countless hours and dollars wasted, and of needless frustration and hassle. The term can be an accurate description for a multitude of litigants, but a statutory designation for only a few. This is to be expected—the statutory criteria is very narrow and can be readily manipulated to avoid a “vexatious” designation. The result is frustrating—being forced to litigate against someone with irrational expectations who is unconstrained by the attorney ethics rules and has little (or zero) litigation expenses. Practitioners need to know not only how to deal with the handful of individuals that meet the statutory criteria for being deemed a “vexatious litigant,” but also the myriad of litigants that can nevertheless drag a client into costly litigation, while not technically meeting the statutory definition. In either case, there are concrete principles that can help practitioners avoid the common pitfalls that can needlessly increase time, expense, and frustration in these cases. Although Texas has a number of statutes that seek to deter “vexatious litigants” and “frivolous lawsuits” by sanctioning litigation conduct, a statute the penalizes a litigant for bringing a groundless action is substantially different than a statute that restricts the right to bring suit in the first place. To accomplish the latter goal, Texas courts have traditionally relied on the court’s equitable power to grant injunctions. But over the years, injunctions proved to be an insufficient deterrent, and the Texas legislature undertook the task of implementing a statute that would provide attorneys and courts with a means of deterring frivolous suits brought by vexatious litigants before a lawsuit is filed, thus greatly expanding the protection against vexatious litigants. (1) “Defendant” means a person or governmental entity against whom a plaintiff commences or maintains or seeks to commence or maintain a litigation. (2) “Litigation” means a civil action commenced, maintained, or pending in any state or federal court. (3) [“Local administrative judge” repealed]. (4) “Moving defendant” means a defendant who moves for an order . . . determining that a plaintiff is a vexatious litigant and requesting security. (5) “Plaintiff” means an individual who commences or maintains a litigation pro se. In a litigation in this state, the defendant may, on or before the 90th day after the date the defendant files the original answer or makes a special appearance, move the court for an order: (1) determining that the plaintiff is a vexatious litigant; and (2) requiring the plaintiff to furnish security. PRACTICE POINTER: The first practice pointer is to act fast. Ninety days, in the life of a litigation file, is very short. Fortunately, services such as Westlaw and Lexis Advance allow for searches by party name, making it easier to compile a list of cases that the plaintiff has filed previously. On the filing of motion under Section 11.051, the litigation is stayed and the moving defendant is not required to plead: (1) if the motion is denied, before the 10th day after the date it is denied; or (2) if the motion is granted, before the 10th day after the date the moving defendant receives written notice that the plaintiff has furnished the required security. (a) On receipt of a motion under Section 11.051, the court shall, after notice to all parties, conduct a hearing to determine whether to grant the motion. (2) evidence presented by witnesses or by affidavit. PRACTICE POINTER: As the plain language of the statute provides, the defendant has no limit on the evidence that can be used at the hearing, as long as it is relevant to the motion. This affords defendants an opportunity to bring in evidence of the plaintiff’s conduct that shows their “vexatious” character beyond the rote recitation of cases filed by the plaintiff. Also, defendants are given an opportunity to highlight the weaknesses in the plaintiff’s case, as one of the elements of the statute is likelihood of success on the merits. Even if the motion is ultimately denied, this is a great opportunity to preview the case for the judge and set up a summary judgment motion. (3) the plaintiff has previously been declared to be a vexatious litigant by a state or federal court in an action or proceeding based on the same or substantially similar facts, transition, or occurrence. To distill this down, first the plaintiff must be proceeding in propria persona or pro se. Lawyers are governed by rules of professional conduct and are subject disbarment or sanctions for filing numerous frivolous suits. These professional constraints do not apply to pro se litigants. Next, the defendant must first establish that “there is not a reasonable probability that the plaintiff will prevail in the litigation against the defendant.” This requires some fact finding and, as discussed above, can be established by affidavit, live testimony, and documentary evidence. Next, the defendant must establish a pattern of vexatious litigation. There are three ways to accomplish this. First is the “numerosity method.” The statute looks back at the plaintiff’s conduct in the previous seven years. The plaintiff must have commenced, prosecuted, or maintained in propria persona five litigations, other than small claims cases, that have been finally determined adversely against the plaintiff, pending at least two years, or determined to be frivolous by a court. The second method is the “relitigation method.” Simply put, if a plaintiff attempts to relitigate a final determination of a claim, action, controversy, or any of the issues of fact or law determined or concluded by the final determination against the same defendant, the plaintiff satisfies the “relitigation” standard. The third method is the “previous determination method.” If “the plaintiff has previously been declared to be a vexatious litigant by a state or federal court in an action or proceeding based on the same or substantially similar facts, transition, or occurrence,” this method is satisfied. PRACTICE POINTER: Look to appeals, not only trial court opinions. One Texas court held “[l]itigation is a civil action commenced, maintained, or pending in any state or federal court. The language of these statutes plainly encompasses appeals.” This could allow for a mandamus action to count towards the numerosity requirement, greatly increasing the chances of meeting the five actions in seven years requirement. The “numerosity method” seems straightforward enough, but is difficult to apply in practice. First, a plaintiff can be extraordinarily vexatious in filing numerous suits in small claims court, seeking $10,000 each time, and these cases do not count towards the numerosity requirement. Next, a plaintiff can be extraordinarily vexatious by filing suit after suit, only to dismiss the suit before a final adjudication on the merits. These suits do not count towards the numerosity requirement under the language of the statute. PRACTICE POINTER: A defendant can argue that dismissals should count. The Court of Appeals in El Paso, citing to a case involving the nearly-identical California vexatious litigant statute, held that dismissals are “finally determined” against the litigant. Attempting to satisfy the “relitgation method” or the “previous determination method” proves to be much easier than the “numerosity method,” for the reasons stated above. Not only is it easier to establish, but an attorney representing the same defendant will know immediately if the current suit is an impermissible “relitigation,” or if there has been a “previous determination,” and can take steps to seek a vexatious determination well within the ninety-day timetable required by the statute. (a) A court shall order the plaintiff to furnish security for the benefit of the moving defendant if the court, after hearing the evidence on the motion, determines that the plaintiff is a vexatious litigant. (b) The court in its discretion shall determine the date by which the security must be furnished. (c) The court shall provide that the security is an undertaking by the plaintiff to assure payment to the moving defendant of the moving defendant’s reasonable expenses incurred in or in connection with a litigation commenced, caused to be commenced, maintained, or caused to be maintained by the plaintiff, including costs and attorney’s fees. PRACTICE POINTER: In the order deeming the plaintiff a vexatious litigant, be sure to include that the amount of security is “to assure payment . . . of defendant’s reasonable expenses . . . including costs and attorney’s fees.” This is to ensure the order stands up to a challenge of arbitrariness on appeal. Once an amount of security has been determined, the statute mandates dismissal of the lawsuit should the plaintiff fail to post the required security. If the plaintiff does post the required security, and “the litigation is dismissed on its merits, the moving defendant has recourse to the security furnished by the plaintiff in an amount determined by the court.” Importantly, the recovery is mandated only when a case is “dismissed on its merits.” “Dismissal,” according to Black’s Law Dictionary, is “an order or judgment finally disposing of an action . . . without trial.” Under that definition, the language of the statute does not provide recovery of the security by the moving defendant should the case proceed to trial. Texas has yet to clarify if a trial on the merits determined against a vexatious litigant counts as a “dismissal” under the vexatious litigant statute. (a) A court may, on its motion or the motion of any party, enter an order prohibiting a person from filing, pro se, a new litigation in a court to which the order applies under this section without permission of the appropriate local administrative judge . . . to file the litigation if the court finds, after notice and hearing as provided by Subchapter B, that the person is a vexatious litigant. (b) A person who disobeys an order under Subsection (a) is subject to contempt of court. (c) A litigant may appeal from a prefiling order entered under Subsection (a) designating the person a vexatious litigant. (d) A prefiling order entered under Subsection (a) by a justice or constitutional county court applies only to the court that entered the order. (e) A prefiling order entered under Subsection (a) by a district or statutory county court applies to each court in this state. The Office of Court Administration of the Texas Judicial System maintains a list of the all vexatious litigants subject to prefiling orders. This list is available online and readily searchable. PRACTICE POINTER: While it is the duty of the court clerk to screen filings of plaintiffs subject to a prefiling order, it is a good idea to check the online vexatious litigant list when you suspect you may be dealing with a vexatious litigant and immediately notify the court if the plaintiff is subject to a prefiling order. Once a plaintiff is subject to a prefiling order, the administrative judge can allow the plaintiff to bring a new lawsuit if two requirements are satisfied. First, the plaintiff must make a showing that the new case has merit. Second, the plaintiff must show that the new case has not been filed for the purposes of harassment and delay. Whether the two elements are satisfied is within the discretion of the administrative judge. Regardless of whether a plaintiff is ultimately deemed a vexatious litigant, there are certain principles that will help bring the case to a quick(er) resolution and ultimately reduce the time and expense of the frivolous litigation. Act fast. A defendant only has ninety days to seek a determination that the plaintiff is a vexatious litigant. Send everything certified mail with return receipt requested—vexatious litigants are at their weakest in the courtroom, where a lack of legal training in rules of evidence and procedure are most pronounced. As a result, vexatious litigants will seek to avoid court appearances and will claim they did not receive notice of the hearing, motion, etc. While mandatory e-filing can help, it is a good practice to send all correspondence, motions, etc., via certified mail with return receipt requested. Having proof of mailing and receipt will eliminate this vexatious litigant strategy and help ensure your hearing goes forward as scheduled. Get to court early and often. Having formal training in legal analysis, drafting, and rules of evidence and procedure is a precipitous advantage over the vexatious litigant. Legal forms and internet searches can help a vexatious litigant perform basic legal tasks and drag out the litigation, but internet searches are no substitute for legal training in the courtroom. Document your conversations with the vexatious litigant—it is not uncommon for a vexatious litigant to misconstrue, misconvey, misremember, or outright misinform. Accordingly, your conversations regarding scheduling, discovery, settlement, etc., need to be documented. It is best to communicate via a written medium such as a letter or email. If you must communicate via telephone or in person, send a letter or email as close to the conversation as possible confirming what was discussed. A contemporaneous record of the conversation can be used in a subsequent “he said, she said” argument in court. Do not underestimate your opponent—just because the vexatious litigant lacks formal legal training does not mean they cannot cause you and your client considerable time, expense, and hassle. There is an increasing wealth of information on the internet designed to assist those who cannot afford traditional legal services, and vexatious litigants are happy to co-opt this information to drag out frivolous litigation. Given the broad discovery rules (especially document requests and depositions) and the length of time it takes to take a case to trial, even a frivolous case can cause you and your client significant disruption. Whether Texas expands the statute to include a wider variety of outcomes to make the process more useful—such as counting voluntary dismissals, small claims cases, and appeals—remains to be seen. But while the Texas Vexatious Statute only provides relief in narrow circumstances, it is the best tool available for the worst litigation offenders; and, at the very least, it provides some finality to cases where judgments are entered, prohibiting endless relitigation of final judgments at the outset of cases.